Irving Berlin wrote, “Oh, I could write a sonnet about your Easter bonnet,” when he described the trappings and trimmings of Easter hats. The tradition of wearing lavishly decorated hats on Easter comes from the celebration of the end of Lent, the Christian season of fasting and prayer, when many people traditionally buy new clothes for spring. Today, adornments may sometimes take a trip over the top, but the tradition continues to bring laughter and sunshine to the day. You can make an Easter hat from just about anything you can think of; the only limit is what your head -- and your personality -- will support. For a simple and quick beginning, choose a straw farmer’s sunhat, a bowler, a 10-gallon straw or felt hat, baseball cap, top hat or even a sun visor. For a more adventurous choice, make a papier-mache base, use a woven basket without the handle or upcycle a plastic flower pot. With the kids, start with a paper plate for an easy-to-handle base. Again, the sky’s the limit for decorative options. Try real or silk flowers, plastic Easter eggs, straw and hay, tissue paper, stuffed animals and toys, or make an edible bonnet with candies. Attach fabric, ribbon or nearly everything to the crown and brim, and tie a few ornaments to the brim to dangle around the edges. Use a low-temperature hot glue gun or permanent craft adhesives to secure the decorations. A chicken theme for your Easter chapeau opens wide possibilities. Go simple with orange tissue paper on the bill of a yellow cap and wiggle eyes on the crown. Cover the crown of a bowler or sun hat with straw, and add plastic grass to the brim. Top the crown nest with pom-poms or stuffed chicks and decorate the brim with plastic or chocolate eggs; go for the plastic if you plan to wear your hat in the sun. A white knit ski cap turns into a hatching chick when you add felt or paper “cracks” all around and chicken legs sticking up from the top of your head. Bring ducks to the party by collecting rubber duckies in four or five different sizes, adding bibs, drink umbrellas or other embellishments, and then stacking them by size on the top of your upturned plastic flowerpot or top hat. Bring the rest of the farm into the picture by covering the crown of a sun hat or bowler with cotton wool or cotton balls to look like a sheep, complete with wiggle eyes; then add straw and tiny chicks on the brim. Attach a mini stable or silo, a toy tractor and plastic animals on your top hat for a pastoral farm scene. Paint a hat pink, add bunny ears to the crown, put a flower or a bow between the ears, and then place plastic eggs on the brim or add a fringe of mini plastic or chocolate eggs on the edge. 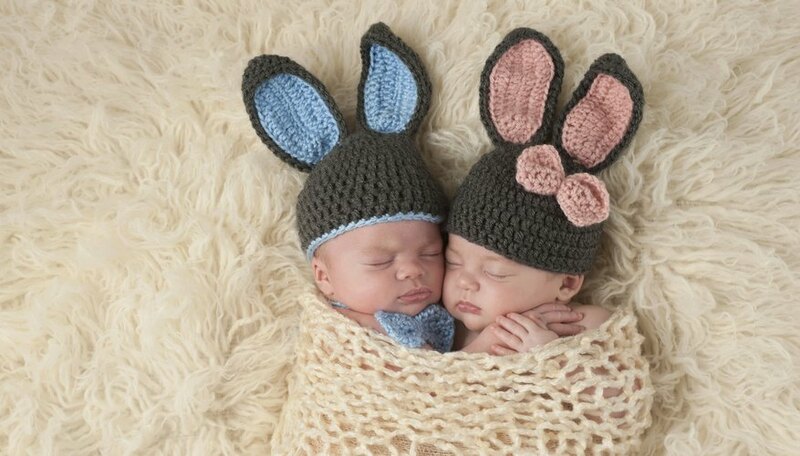 Cover the whole surface of your hat with colorful jellybeans or marshmallow chicks and bunnies with a few chocolate eggs or plastic eggs filled with tiny candies. Take a more savory approach by cutting the bottoms off carrots and tying or gluing the green tops and orange roots all the way around the hat. Give a child’s hat some sproing with a paper-plate spiral hat. Start cutting the spiral in the center of the plate and work your way out to the rim, making sure to leave the spiral firmly attach to that rim. Put a wooden skewer inside a flexible-bend straw. You may need to cut the skewer to size with a craft knife or your kitchen shears. Bend the straw and tape that end under the brim of the hat. Thread the rest of the straw through the spiral and insert it through a slit in the very center. You may want to attach the straw to the spiral partway down with glue dots. Now, add paper or silk flowers, butterflies, stickers, rhinestones, feathers or other embellishments. Use another paper plate to make a flowery bonnet-styled hat. Help your darling decorate the bottom side of a plate with the adornments of choice. Flowers, toy animals, feathers and similar items work really well. For your farmer, glue a couple of small craft bales of hay, a plastic tractor and some farm animals. Now, punch a hole on two sides of the hat. Add some reinforcements to each side of the hole and thread shoestrings, ribbon or cord through the holes, tying a knot to hold them in place. Tie the strings under the wearer’s chin, pulling the plate edges down along the sides of the child’s head.